Bethlehem was named on Christmas Eve, 1741, by a group of Moravians who relocated from North Carolina and settled at the confluence of the Lehigh River and Monocacy Creek. The canal and the railroads lured large-scale industry to the south bank of the Lehigh River and the Bethlehem Iron Co., soon dominated the town’s economy and way of life. Steel made from local iron, coal and limestone was milled and forged, launching the Industrial Revolution of the late 19th Century. Bethlehem has six distinct National Historic Districts as well as two National Historic landmarks. Many of its original structures built by early settlers still line downtown streets. 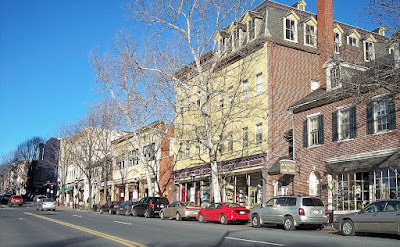 The Central Bethlehem Historic District includes 165 buildings, 6 sites, 9 structures, and 4 objects. It is primarily residential, but also includes commercial buildings along Main Street. Most of the buildings were built between the mid-18th to early-20th century. 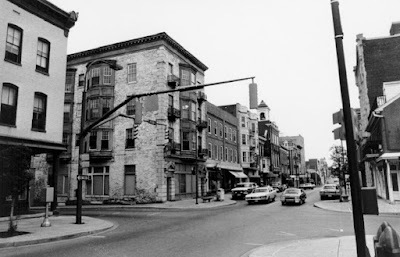 The district encompasses building that reflect Bethlehem's development from a Moravian community, 1741-1844, to an industrial based economy, 1845-1938. The Historic Moravian Bethlehem Historic District encompasses a complex of the oldest surviving buildings in Bethlehem. The district was designated a National Historic Landmark in 2012 for its unique assemblage of communal religious buildings and history. It occupies a 14.7-acre (5.9 ha) area of central Bethlehem; at its core is the Moravian Museum of Bethlehem and adjacent properties, located at Main and West Church Streets. The museum property includes a connected series of 18th century stone buildings, several of which served as communal living facilities, and a 1751 chapel. The museum also owns properties near the creek, including the industrial 1761 tannery building, and the Old Waterworks which is also a National Historic Landmark as the first pump-driven North American municipal water supply. This area is also archaeologically significant, as the early Moravians developed it industrially from an early period. Sun Inn was created as a place for non-Moravian people to take up residence while they did any sort of business with the people that lived in the town. The Sun Inn was used often during the American Revolution, including George and Martha Washington, Ben Franklin, John Hancock, john and Samuel Adams. 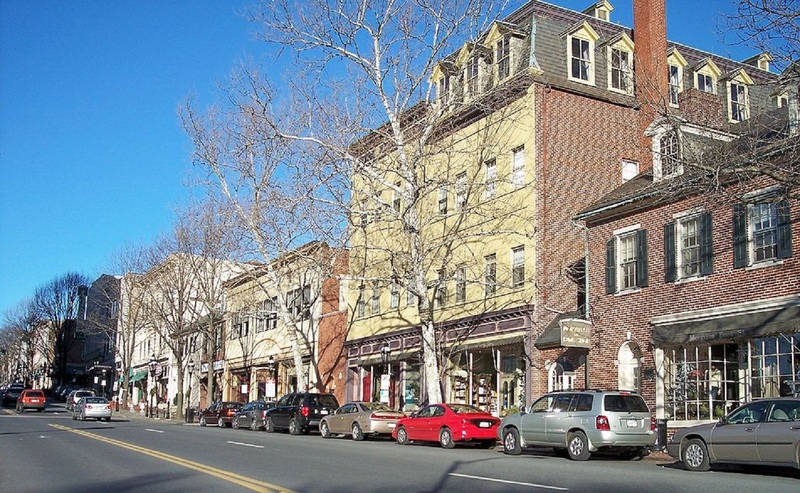 Bristol is the oldest town in Bucks County and the third oldest in Pennsylvania. It is the southern terminus of the D&L Trail characterized by coal yards, shipyards, warehouses and textile mills. Its Delaware Riverfront resembles a New England seaport. During World War II, the shipyards were converted for use in the manufacturing of aircraft. Today, Bristol hosts special events near the river and the Radcliffe Street Historic District. The improved waterfront and the nearby 235-acre sanctuary Silver Lake Nature Center offer miles of trails and habitats of more than 160 species of birds, raccoon, muskrats, opossum and deer. The History of Bristol Borough closely parallels the economic, commercial, and industrial history of the United States. In the late ’60s, U.S. Steel Corporation closed its facilities and thousands of employees lost their jobs. 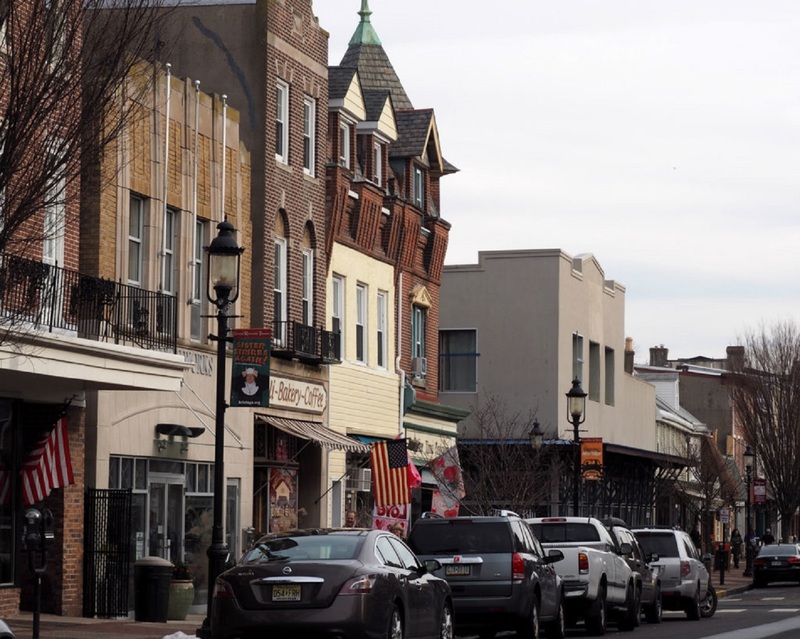 Founded in 1681, Bristol Borough is nestled along the Delaware River and midway between Philadelphia and New York. The self-described gritty town benefits from an East Coast resiliency but is also home to hospitable residents. The building of the 60 miles (96.6 km) long, forty feet wide, and five feet deep Delaware Canal, Bristol became a transshipment gateway connecting the coal barges flowing down the Lehigh Canal from Easton to Philadelphia. Its docks also had regular ferry services to New Jersey. Later, rail service would also connect the anthracite flowing through the canals, to the riverine barge and boat traffic, and to provide rail depots servicing the manufacturing sector. Book Your Historic Bristol Borough Pennsylvania Visit Here! By the 1880s Bristol was home to many factories, including companies manufacturing wall paper and carpeting. In World War I, the Bristol docks had sufficient space for a shipyard to construct twelve building slips for the construction of merchant vessels. Between the world wars, the eighty-acres of the shipyard were let out to various concerns, including one area converted to building the flying boats amphibious planes. During World War II the old shipyards were used to build airplanes. 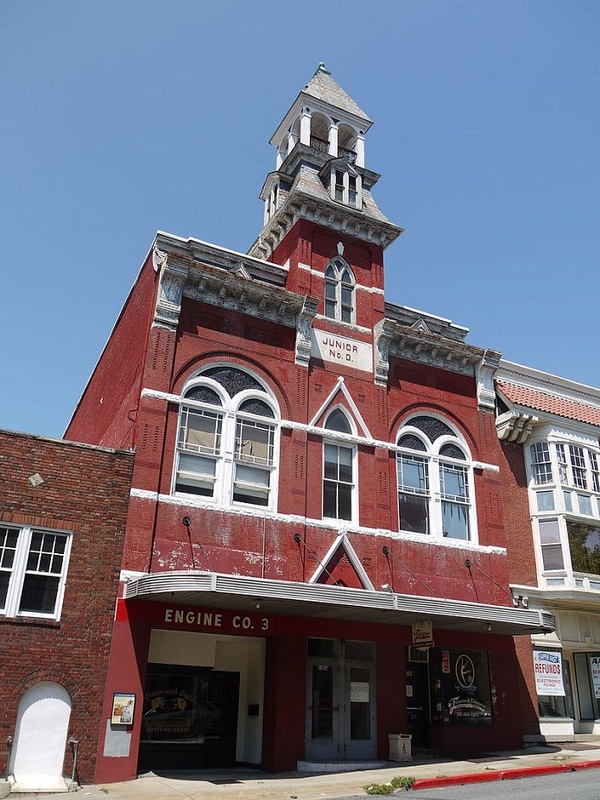 Today the preserved elements of the shipyard, and other buildings once important in Bristol's past service are enshrined and celebrated in the Bristol Historic District and Industrial District. The Hagerstown Commercial Core Historic District consists approximately of a one and a half by two block rectangle which includes the major retail center of town. The center of the district is the public square which is formed by the junction of Potomac and Washington Streets, the two major traffic arteries in the city. The district extends one half block east of the public square, north to Franklin Street, west to Summit-Jonathan Streets and east to Antietam Street. It is made up almost entirely of commercial buildings constructed or remodeled for retail purposes during the last 20 years of the 19th century and the first 20 years of the 20th century. Exceptions to the commercial character of the district but integral to it are two prominently located government structures, the Washington County Courthouse built in 1874 and listed individually in the National Register of Historic Places, and the City Hall, built in 1939. Most of the buildings within the district retain the architectural characteristics of the period of their significance and provide a showcase of late 19th and early 20th century commercial styles. Hagerstown became a major manufacturing city in Maryland. This industrial prosperity led to a commercial boom period which is illustrated by this historic district, in the stylistic continuity of the buildings representative of popular commercial styles of the turn of the century. 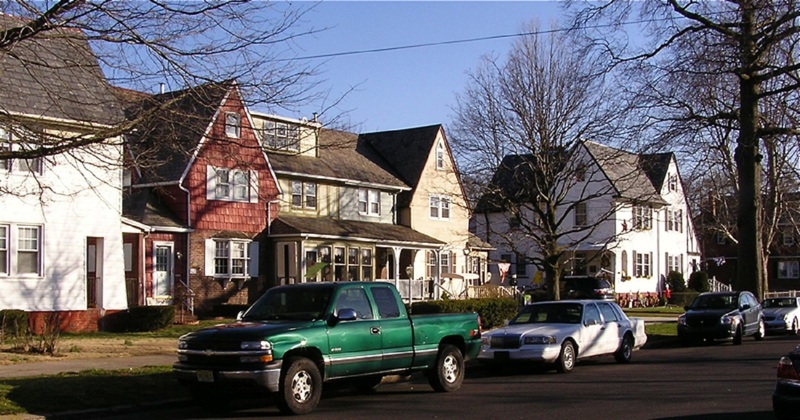 Three major building types are found in the district: late Italianate two and three-story buildings with prominent bracketed cornices; elaborate baroque and neo-classical forms associated with the Beaux Arts style; and a very simple early 20th century commercial style featuring strongly rectilinear forms. The topography of the district slopes from north and west to the south and east. North Potomac Street between the square and Franklin Street has a substantial change in grade, leveling as it reaches the square. West Washington Street, West Antietam Street in the blocks west of the west boundary of the district rise sharply in grade, but level as they reach Summit Avenue. At the east edge of the district East Washington and East Antietam Streets drop in elevation between North Potomac and Jonathan Streets. Much of the district, except for its northeast corner, lies in a small plateau between grades. Hotels like the Dagmar, built in 1910 and located at the southwest corner of the district, were built to serve rail travelers. Early advertisements emphasize its advantageous location opposite the B & 0 Railroad and near the Cumberland Valley and Norfolk and Western Railroad stations. History the river has played an important role throughout American history. In the 18th century, William Penn’s negotiations with the Lenape led to settlements in the lands between the Delaware and Susquehanna rivers and, in late colonial times, anthracite coal was transported. During the American Revolution, an expedition came downriver from its headwaters; the upper portion navigable by damming the river's source at Lake Otsego, allowing the lake's level to rise and then destroying the dam and flooding the river for miles downstream. Bridges Ferries Canals and Dams prior to the Port Deposit Bridge opening in 1818, the river formed a barrier between the northern and southern states. The earliest dams were constructed to support ferry operations in low water. 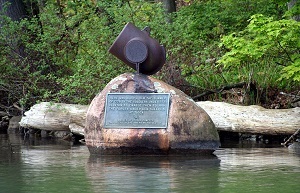 Its many rapids meant that commercial traffic could only navigate down the river in the high waters of the spring thaws. 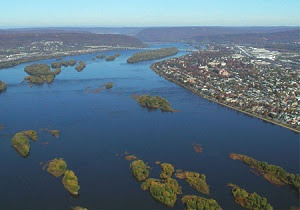 Two different canal systems were constructed on the lower Susquehanna to bypass the rapids. The Port Deposit Canal was completed in 1802, followed by the larger Susquehanna and Tidewater Canal. Later, bridges replaced ferries, and railroads replaced canals. Hershey is a year-round, world class travel destination with an amusement park, exclusive resorts and family attractions. Surrounded by some of America’s most productive dairy farms, the world’s first modern chocolate factory and model town is a real community. You should know that the famed 2200 mile Appalachian Trail curves through the Hershey Harrisburg Region for 28 miles; Broad Street Market in Harrisburg is the nation’s oldest continually operating market; in Hershey, the streets are lined with Hershey’s Kisses®! Chocolate Avenue’s street lamps are shaped like the famous candies; the Rockville Bridge in Harrisburg is the longest stone masonry arch railroad bridge in the world with 48 arches measuring 70 feet each spanning the Susquehanna River. City Island is a 63-acre tourism and recreational destination containing archeological treasures of the Susquehannocks and Iroquois tribes which established seasonal settlements here. The island was a stopping off-point for Union soldiers during the Civil War; they crossed over it by way of the Camelback Bridge to defend Harrisburg from the threat of invasion by the Confederate Army. 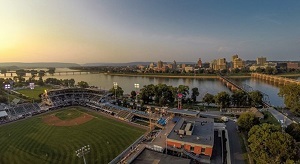 Today, City Island is a tourist and sports venue for the Harrisburg Senators Baseball Stadium, the City Islanders Soccer Stadium, the Pride of the Susquehanna, City Island Railroad, and the City Island Stables. 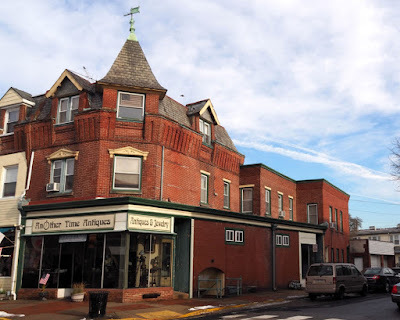 Millersburg Borough nestled along the Susquehanna River, is quaint community radiating out from a Victorian Market Square Park featuring a Gazebo dating back to 1891. Millersburg evolved along with the introduction new forms of transportation; travel back to the 17th century and visit the Wiconisco Canal in MYO Park and a restored 1898 passenger rail station on West Center Street. 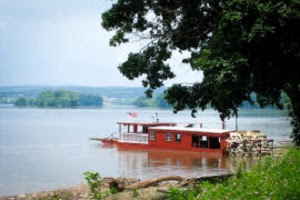 The National Historic Register's Millersburg Ferry System traces its roots to 1817. Pride of the Susquehanna River Boat is one of the last remaining authentic paddle-wheel riverboats in America. 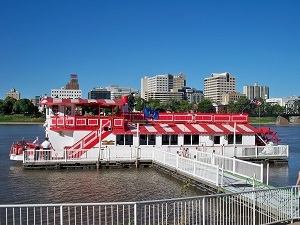 Since her construction and launch in 1988, "The Pride" has carried almost a million passengers who have enjoyed themed cruises and River School Educational Trips. Planning Your Trip assumes uniquely local dimensions in the places you visit, rooted in the local economy, history and traditions. TEMA develops personalized itineraries based on your preferences; we leverage an in-depth knowledge of your destinations with superior client service throughout your trip.